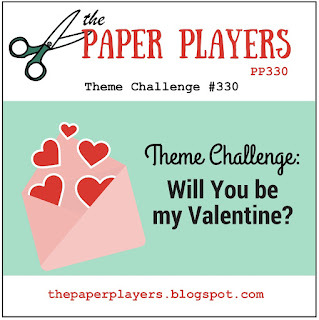 Today I'm sharing a Valentine's Banner I created to string across my piano for the month of February. I cut some little pendants out of patterned paper and layered them on kraft cardstock before embellishing them with my letters and birds. Oh my, this is the cutest little bunting I have seen! 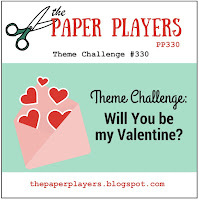 So beautifully creative...perfect for the month of February! What a pretty Valentine banner! What a fabulous banner and what a great place to display it! Love how each piece is attached by a little clothespin. Thanks for sharing with us at The Paper Players! Well how stinkin' adorable. I love the idea of a banner, so creative. Thanks for playing along with us this week over at Mod Squad. What a pretty little banner and such a fun way to display it too! Thanks for joining us over at The Paper Players this week!